Saylor Jane and Aligrace has so much fun playing in the snow. We don't get much snow in our area so they were thrilled to go out and play in it. 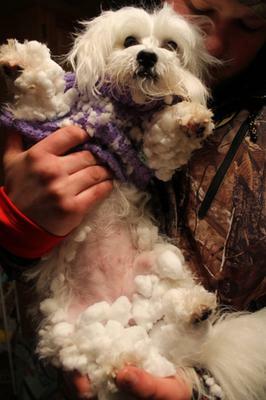 They chased each other until the snowballs got so big in Saylor's hair that I had to bring her in. Aligrace dried right off but Saylor Jane is another story for another day. 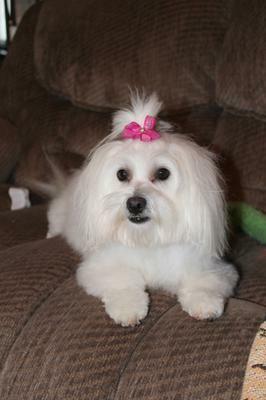 All I can say is thank goodness we finally found a good groomer.